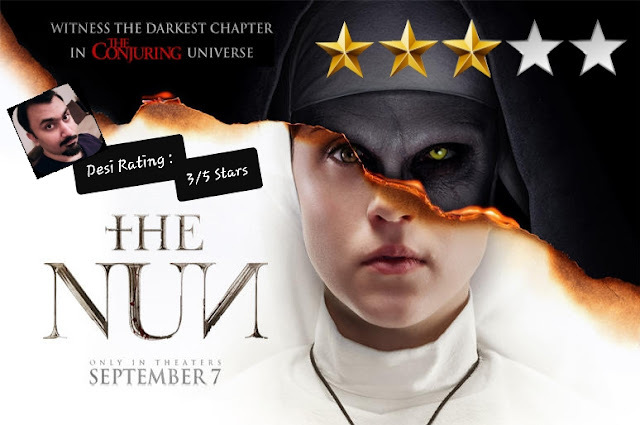 The Nun is a spin-off of 2016's The Conjuring 2 and the fifth installment in The Conjuring Universe. The plot follows a priest and a Catholic novitiate, as they uncover an unholy secret in an old castle turned into a Nun convent in 1952 Romania. What I like about screenplay is that its fast paced and gets straight to the point which is to scare the audience. There is no time wasted in character development or unnecessary storytelling. Screenplay relies heavily on jump scares and all sort of jump scares, couple of them you may have seen before and few are new too, to create the required experience and succeed in doing so. Apart from jump scares there are also couple of intense sequences of continuous horror including the climax , done very neatly. Direction, music, specials effects and overall production is as it should be. I especially love the surrounding this film is set in, an old castle turned into convent in 1952 Romania, creates a very authentic gothic feel. Performances are great, Jonas Bloquet as Maurice "Frenchie" Theriault and Taissa Farmiga as Sister Irene are instantly likeable. Frenchie steals the show for me , his casualness on screen add another dimension to the show. Demián Bichir as Father Burke is also convincing but among the other two doesn't stand out as well as required. 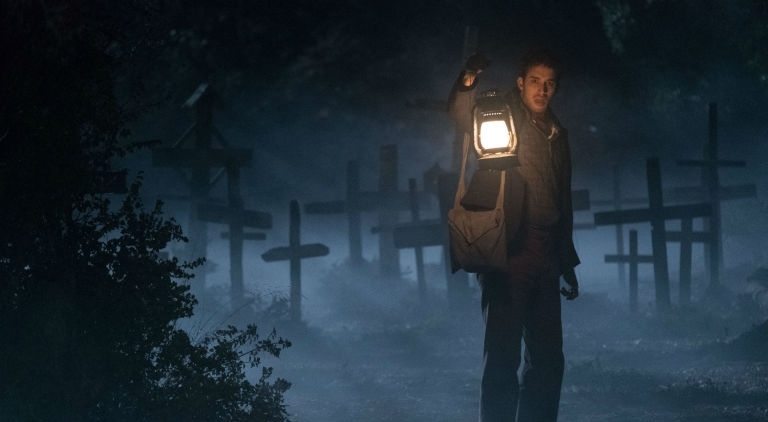 Overall it's a fun time at cinemas and check all the boxes required to make a good but a forgetful horror cinematic experience I go with 3 stars. I attended the well planned and executed Dubai Premiere at Vox cinemas , invited by WarnerBros ME. 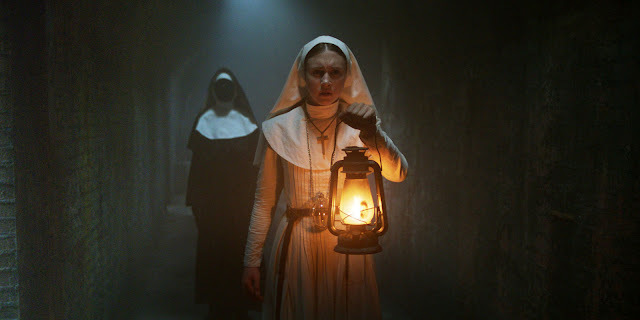 It was a unique experience having Nuns roam around the cinema with lanterns in their hands before the start of movie. I want to thank WarnerBros ME for the invite and making this review possible.